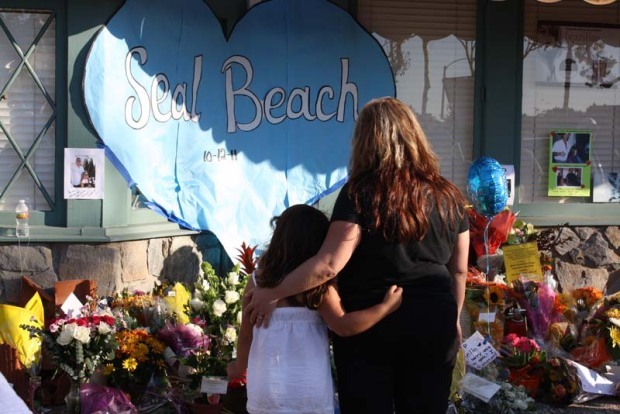 Two very different scenes played out Monday in Los Alamitos and Santa Ana in the aftermath of the Seal Beach massacre. 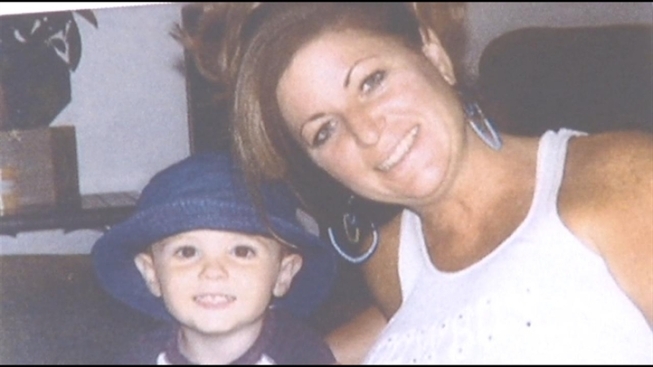 In Los Alamitos, friends and family said their final goodbyes to Michelle Fournier in a service at Cottonwood Church. 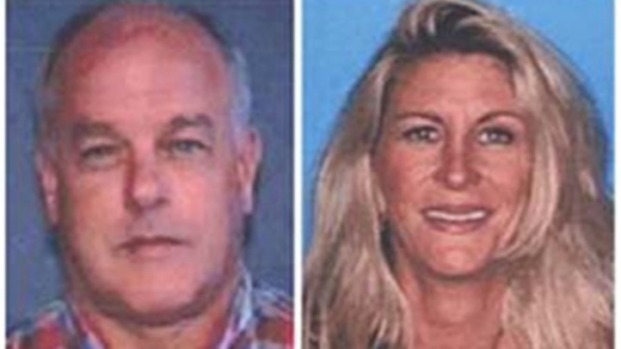 Fournier was 41 years old when her ex-husband allegedly came to Salon Meritage in Seal Beach targeting her, and inexplicably, anyone else in the vicinity. The former couple had been feuding over the custody of their 8-year-old son. "She was a fabulous person and a great friend," said Wendy Seele. "She loved life and loved her kids. It's a very sad day. She's going to be missed." "She was very kind, loving, generous and a great mom," said Erin Loch. They remembered her with flowers and blue ribbons. Blue was her favorite color. They remembered her as one life lost in a sea of tragedy. Jack Dial said he came to the memorial for Fournier and for the entire community. "To show my care and respect for the family and for her," said Dial. "And what she meant to this community and what this did to everybody. It was a horrible thing to happen in a place where this just doesn’t happen." "Goodbye, Michelle, we love you," someone shouted as a white dove was released outside the church in Fournier's memory. Then seven more doves were released, in memory of the other victims. They were all connected, forever, to a community that will never be quite the same. Also Monday, the suspect in the case told a judge in Santa Ana that he can't afford his legal defense. Scott Dekraai, who could face the death penalty, will now be represented by a court-appointed, taxpayer-funded public defender. Among those in court to witness the proceeding was Paul Wilson, husband of murder victim Christy Wilson. "Over the past week we have said goodbye to eight very loving people," Wilson lamented outside the courthouse. "They were mothers, fathers, sisters, daughters, grandparents."